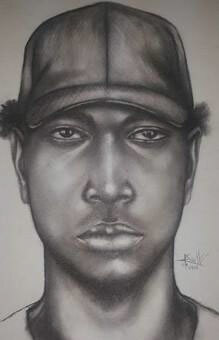 Nassau, Bahamas - Police have released a composite sketch of an adult male of interest in a homicide case. Police is asking for the public's help in locating the man and want to question him in connection with a recent murder. The person of interest is a medium brown male, slim built, about 5’ 10” to 5’ 11” tall. ANYONE WITH INFORMATION REGARDING THE WHEREABOUTS OF THESE WANTED MEN, NO MATTER HOW SMALL OR INSIGNIFICANT (THE TIP) MAY SEEM, IS URGED TO ANONYMOUSLY CONTACT THE POLICE AT 919 OR CRIME STOPPERS AT 328-TIPS (8477) (NEW PROVIDENCE) OR 1-242-300-8476 (FAMILY ISLANDS) WEEKLY CRIME PREVENTION TIP IF YOU SEE OR SUSPECT A CRIME IS BEING COMMITTED; PAY PARTICULAR ATTENTION TO THE FEATURES OF THE OFFENDER/S AND ANY VEHICLES INVOLVED. WEEKLY CRIME PREVENTION TIP IF YOU SEE OR SUSPECT A CRIME IS BEING COMMITTED; PAY PARTICULAR ATTENTION TO THE FEATURES OF THE OFFENDER/S AND ANY VEHICLES INVOLVED.